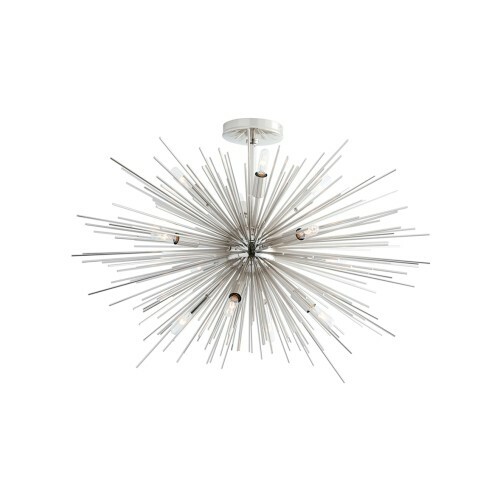 Talk about a showstopper – the uniquely named sputnik and, its close relative, the urchin light are the mother of all statement lights. The lobby of the Metropolitan Opera House is, of course, a memorable sputnik moment (and has been since 1966) with its 11 cascading, Swarovski-embellished Lobmeyr “Metropolitan” chandeliers. As is the newly upgraded Bergdorf Goodman jewellery hall – unveiled at the end of last year and designed by Senior Vice President Linda Fargo – which includes two Lobmeyr-inspired chandeliers. 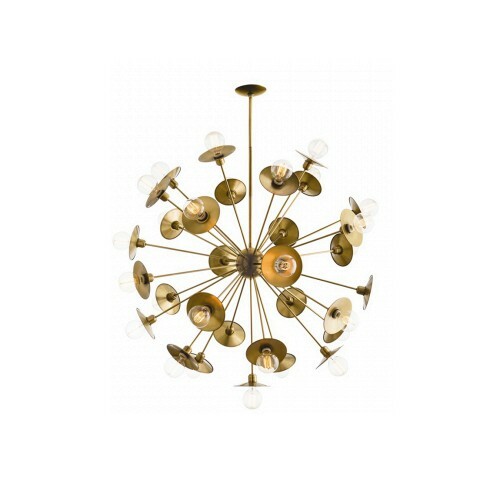 Our recent edit of sputnik lights directed our thoughts to some of our favourite ways to work the look. 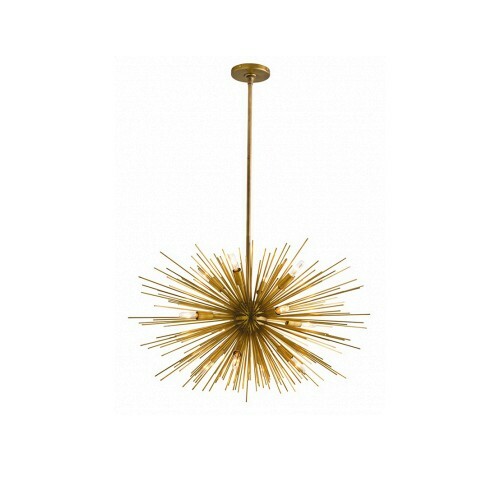 Celebrity designers Martyn Lawrence Bullard and Jeff Andrews (who used an urchin pendant in the music/play room of Kourtney Kardashian’s previous home) are just two enthusiasts of the statement lights. Both designers (and a slew of other designers) feature in this round up of show-stopping interiors. N Studio (formerly known as Intarya) understands the power of a perfectly placed statement light. 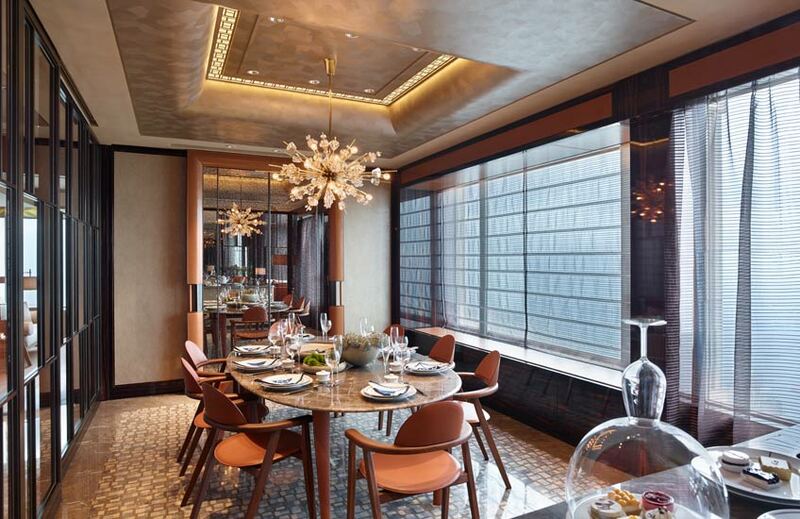 This dining room is finished off, like the proverbial cherry on the top, with a bespoke pendant made in the home of glassmaking – Murano, Venice. The starburst shape draws the eye to the dining table arrangement, creating a alternative and worthy focal point to compete with the room’s captivating turquoise, teal and khaki artwork. Get the look by piling your dining table with books when not in use and contrasting pure white walls and pale flooring with colourful art and interesting sculpture. Lilly Bunn tries the look in collaboration with a gilded ceiling and glossy teal walls to stunning effect. The light from its scattered bulbs casts a pretty glow onto the golden ceiling giving the space an ultra-opulent feel. A fret-designed mirror is placed just so to reflect the statement silhouette, doubling its impact. To the untrained, a grey-on-grey room runs the risk of feeling cold but experts in visceral design, Lee Ledbetter & Associates, understand all the ways to sidestep any potential faux pas. In this Architectural Digest-featured French Quarter space the firm hung a celestial 1960s sputnik pendant from a charcoal grey firmament and livened up with pure white sofa and matching ottoman and an 18th century French giltwood mirror. One of the reasons we included Jessie D. Miller in this year’s Ones To Watch article was her intrepid design mentality. Expertly navigating the potential difficulties of a four poster bed, black walls and a zebra rug, the designer didn’t baulk at the thought of including a sputnik in this bedroom and we’re glad she didn’t – the result is one of confident glamour. 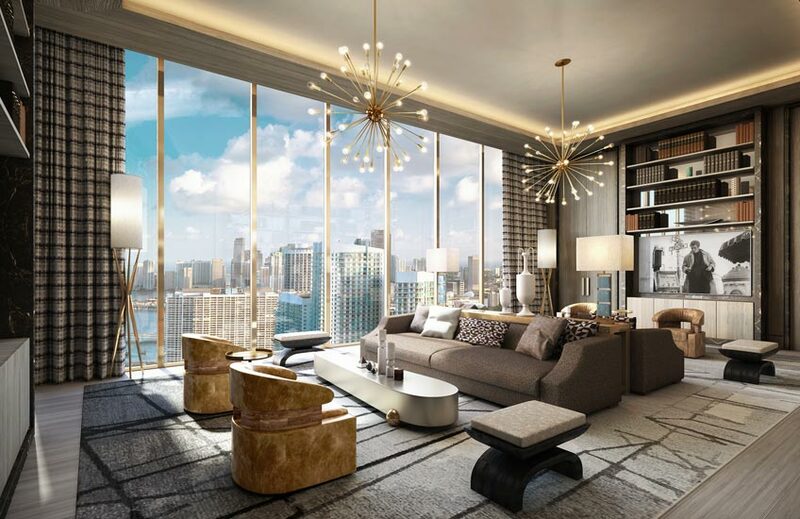 Jean-Louis Deniot’s canvas for the upcoming Elysee Miami offers super-high ceilings and plenty of open space. The designer creates a nucleus for the impressive space whilst retaining its impressiveness by suspending two oversized sputnik-inspired light fixtures above this serene living room arrangement. The designs act much in the same way as the Met’s cascade does – as graceful, functional art installations. 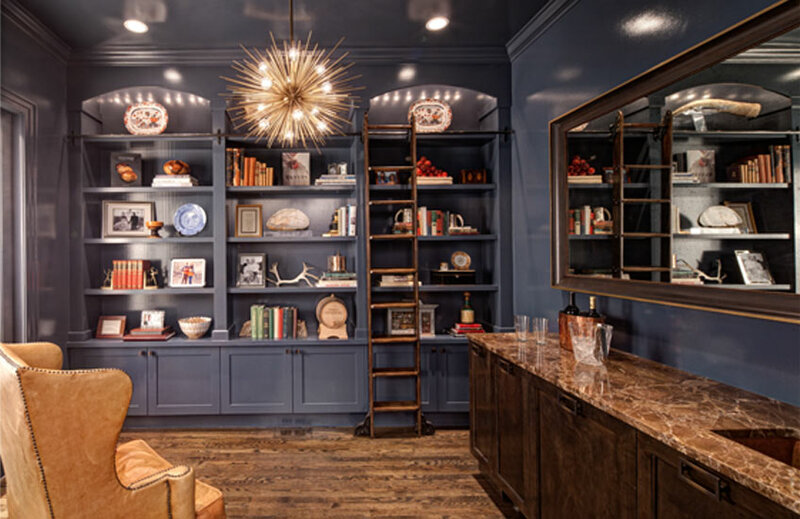 Buckingham Interiors + Design adds playfulness to this library and home bar space with a spiky urchin design, proving that even the most composed spaces can be enhanced by a touch of whimsy. The combination of old with new works well and creates an unexpected aesthetic. Bergdorf’s ground-floor jewel emporium isn’t the only place you’ll spot a sputnik or an urchin. In fact, the sputniks found in the store’s 7th floor BG Restaurant were there long before the glitzy jewellery hall ones. Kelly Wearstler designed the Hollywood Regency space 10 years ago and incorporated flushes which radiant from the ceiling, casting an invisible aura of magic over the space. 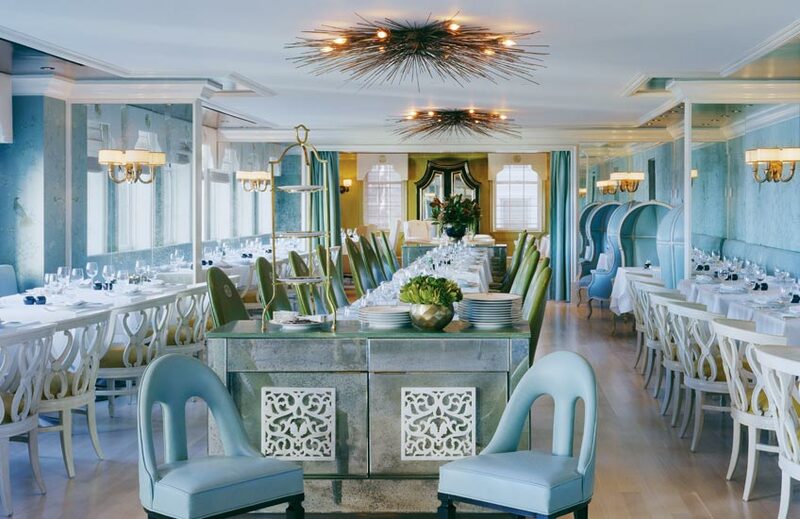 The LA-based designer teamed the lights with a fresh powder blue palette, delicate Chinoiserie wallpaper and leather porter chairs. 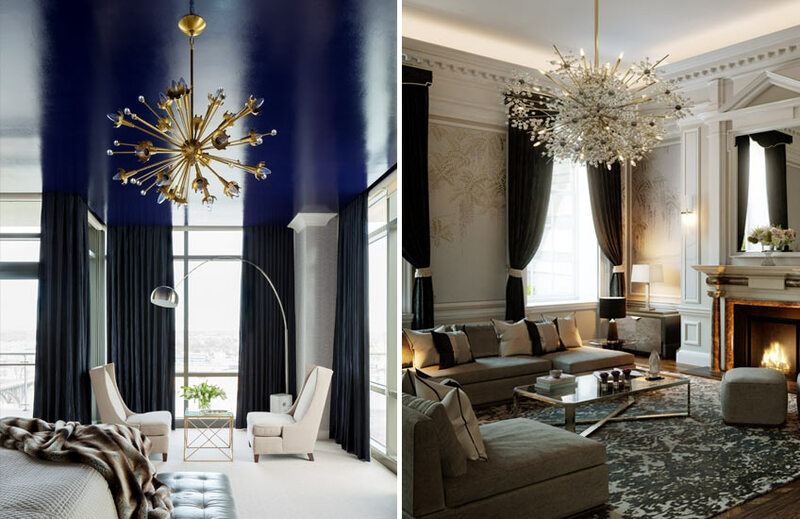 Tobi Fairley – another advocate for eye-catching decor, namely in colour – matches the boldness of this penthouse bedroom’s night sky ceiling with a crystal and antique brass design. “I loved this Sputnik chandelier the minute I saw it!” enthuses the designer, “It creates that perfect dramatic point for a room, so I knew it would be fabulous in this master bedroom. It enhances the look of the night sky that I was going for, especially against the Midnight Navy paint in high gloss that I chose from Benjamin Moore. 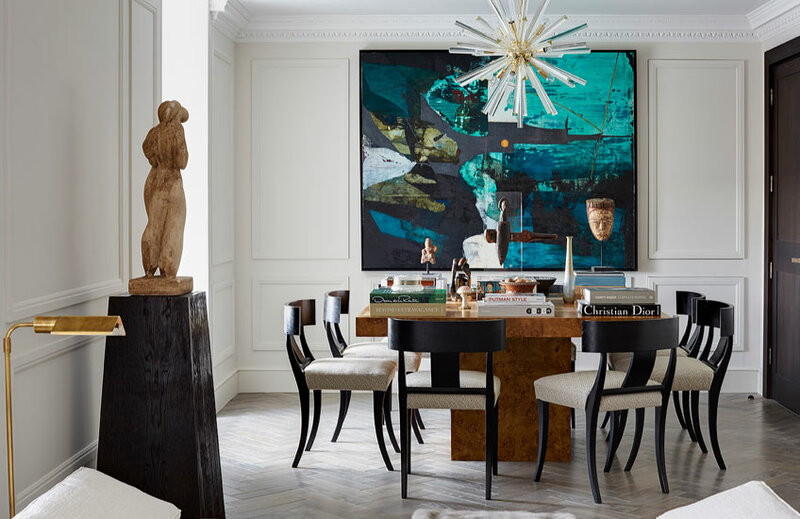 Leaning towards the ultra-glamorous end of the spectrum, Martin Kemp Design focuses eyes on an encrusted pendant light in the informal living room of its upcoming St James project. The sparkling design’s heavenly aura is enhanced by soft cornice uplighting and a low-profile seating arrangement which allows it, and the room’s Georgian bones, to take centre-stage. Channel the look with elegant drapes, a decorative but modern rug and simple upholstery for a contrasting contemporary edge.